Dermatitis herpetiformis is one of the itchiest skin rashes known. The celiac disease-associated condition is caused by an autoimmune reaction to gluten, the protein found in wheat, barley and rye, and occurs in up to 25% of people with celiac disease. Dermatitis herpetiformis sufferers can find short-term relief in the form of dapsone, a sulfur-based antibiotic. However, dapsone can cause some potentially serious side effects if taken long-term, so you shouldn't use the medication for any longer than it takes you to get up-to-speed on the gluten-free diet. 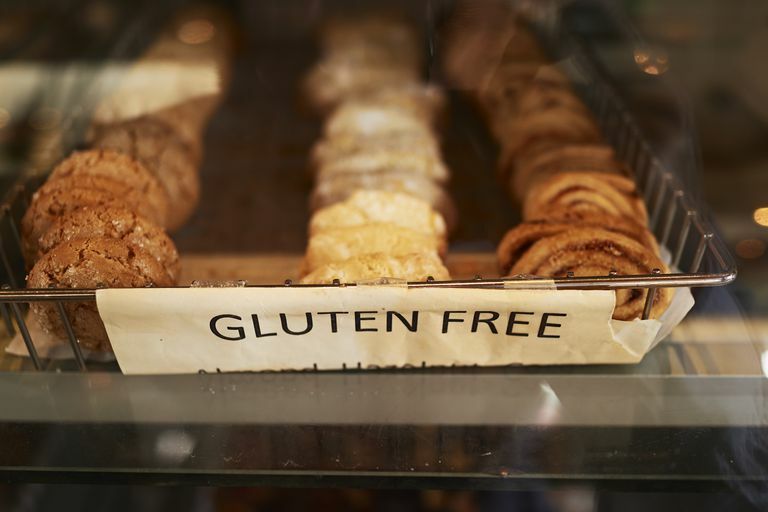 The gluten-free diet is the only recommended long-term treatment for dermatitis herpetiformis, and it also may help you avert internal damage related to gluten consumption. However, it's far from easy to eradicate your dermatitis herpetiformis by following a gluten-free diet. The rash can flare with very small exposures to gluten and then can take days to subside again, which can lead dermatitis herpetiformis sufferers to cheat on the diet or even ignore it completely since it's not providing them with relief anyway. For example, in one study that followed 86 dermatitis herpetiformis patients for several years each, only about 40% of the patients followed a gluten-free diet, and only five people reported complete success in alleviating their dermatitis herpetiformis symptoms through diet. I can report from personal experience that it took about two to three years of an incredibly strict gluten-free diet before my skin was clear. Even now, if I get glutened, my skin will itch in places where I get dermatitis herpetiformis, although it's rare for me to have a major rash breakout anymore. To control your dermatitis herpetiformis completely through the gluten-free diet, you'll need to become incredibly good at avoiding cross-contamination. You also may need to make your entire house gluten-free — it can be nearly impossible to avoid enough gluten to stop your reaction if you're sharing a home and kitchen with gluten-eaters, unfortunately. You almost certainly will need to cut back on gluten-free grain products such as cereals, bread, and cookies, or eliminate them completely. Sadly, gluten often contaminates gluten-free grains in amounts large enough to cause your rash to flare. If you cut your grain consumption in half, you may find your dermatitis herpetiformis improving. If you eat out frequently, even in restaurants with gluten-free menus, you're risking more cross-contamination. Try eating out less often, and see if your dermatitis herpetiformis improves. Realistically, it can take months or years to completely control your dermatitis herpetiformis by using the gluten-free diet, and every time you get glutened the rash will flare up again. However, if you're very strict, you should notice the flares getting less severe over time. Eventually, you probably will stop getting the rash itself, but may notice some itching in your normal rash locations if you've been mildly glutened. A major gluten exposure will bring full-blown dermatitis herpetiformis back, but it probably will subside quickly. Following the gluten-free diet can be tough, and following a super-strict version of the diet that doesn't allow for many gluten-free prepared foods and grain products can be even more difficult. However, it should eventually help you stop the miserable itching and stinging of dermatitis herpetiformis. S.Y. Paek et al. Remission in Dermatitis Herpetiformis: A Cohort Study. Archives of Dermatology. Published online Nov. 15, 2010. doi:10.1001/archdermatol.2010.336.